DS7 CROSSBACK SUV – IRISH SPECIFICATION AND PRICING ANNOUNCED. DS 7 CROSSBACK, the first of a new generation of models being introduced by DS Automobiles, has officially launched in Ireland with a starting price of €36,000. The New DS 7 CROSSBACK is available exclusively from DS Airside, Swords, Dublin in their new state of the art DS Store. 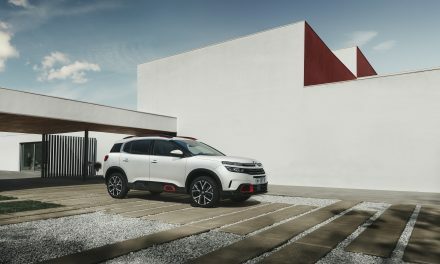 For the launch of the DS SUV, innovation and savoir-faire from Paris, bespoke and personalised vehicles are the order of the day. 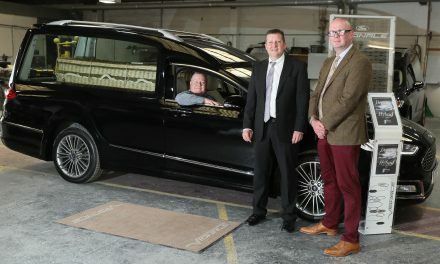 Trailblazers, trend enthusiasts; customers looking for a new and premium automotive experience with unique sensations will have the choice of four different interior styles (Inspirations), four high performance, punchy and efficient engines and 15 breakthrough features, with Irish prices at launch from €36,000 to €60,245. The interior of DS 7 CROSSBACK is chic and contemporary, showcasing the expertise of the brand’s teams. Reflecting the philosophy behind DS design –personalisation –it is available in a choice of different trims, with the focus on materials. The interiors, called DS Inspirations, take their style cues from Paris, the birthplace of the brand. DS Inspiration Opéra, echoes the eclectic architecture and premium materials (gold and marble) of the interior of one of the most prestigious opera houses in the world; everything has been carefully thought out and designed to be captivating. The eponymous DS Inspiration follows suit, with a high-end finish in Nappa leather (in basalt black or chestnut brown) to embodies this spirit of fascination and created for customers who want to put their personal mark on their vehicle in a bold and captivating way (Standard with Ultra Prestige). For more information log onto www.dsautomobiles.ie or visit the New DS Store at DS Airside today. PreviousNew KIA Sportage – Now Even More Appealing. NextTESLA’S STUNNING ‘MODEL S’ 100D ON TEST.